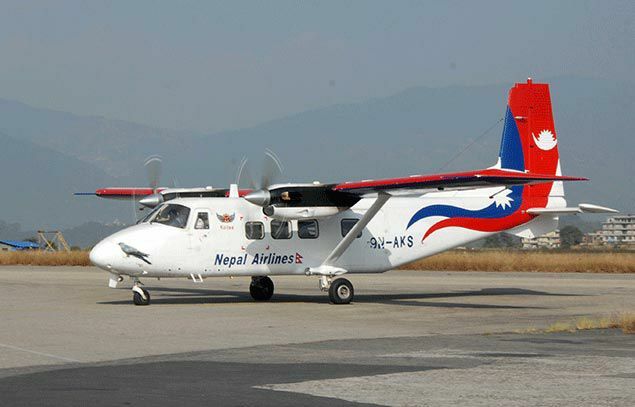 KATHMANDU, July 01: Nepal Airlines is making preparation to offer flights to all operational airports in the country. NAC is making plans to expand its presence in the domestic market as focusing on international flights has seen other domestic airlines taking up the market for domestic flights. NAC currently owns 6 airplanes imported from China and 2 older aircraft filling domestic flights. Managing Director of the corporation, Sugat Ratna Kansakar, said that NAC is focusing on domestic flights as they are equally as important as international flights. "We will soon offer flights to all operational airports in the country, lending support to the social and economic development of the country, and overlooking any potential losses," he said. The immediate plan is to conduct at least one flight a week to all districts with an airport, using a 19-seat aircraft and carrying at least 2 passengers. "We will offer service to the remote regions of the country overlooking losses while maintaining profits through ground handling of international service. This is our duty, and we have to do it," Kansakar said. Managing Director Kansakar informed that he is working to make the NAC commercially competitive and to strengthen all services provided by the corporation. While the NAC conducts flights to most districts, various issues like geographical difficulty, weather conditions, and lack of infrastructure has made its services to the remote regions mostly ineffective.